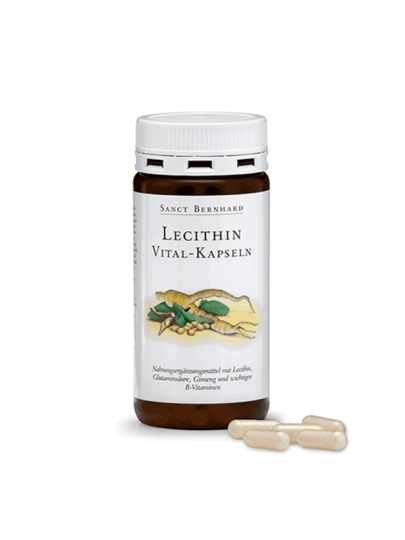 A dietary supplement containing lecithin, glutamic acid, ginseng and important B vitamins. Drink 3 capsules a day with plenty of liquid, along with food. gelatine starch, L-glutamic acid, nicotinamide, D-alpha-tocopheryl acid succinate, pyridoxine hydrochloride, thiamine mononitrate, riboflavin, cyanocobalamin.